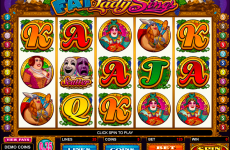 Playing Magic Charms online casino slot is like enjoying an equivalent of Lipstick Queen Frog fairy tale, but it is made by Microgaming software developers. The game is interesting enough and in includes magic theme. 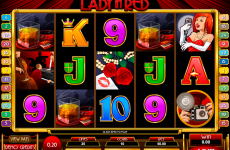 You will enjoy the transformation of a frog into a princess, but as it is a Microgaming software powered video game it leads to interesting payouts and amazing gameplay, so it is strongly recommended to enjoy this game with no download at online slots’ collection at Slots Pill. But first, let’s check out the design of this game! 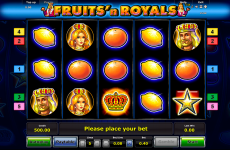 Magic Charms online casino slot game is based on the famous fairy tale of Lipstick Queen Frog, so there are a lot of weird magic elements in this game. Well, for example the forest, which you will see on the background! You can spot very huge mushrooms, as big as the trees. Symbols on the reels include frog with crown, rose flower, princess, a jar with golden coins and shining rainbow, card game letters and numbers and some multiplier symbols. 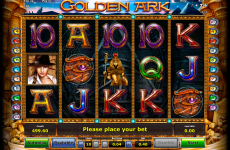 In general, design of this game is quite pleasant and beautiful for gamblers’ eyes. 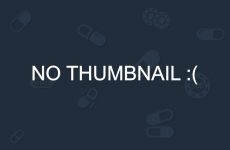 Let’s check out its gameplay! 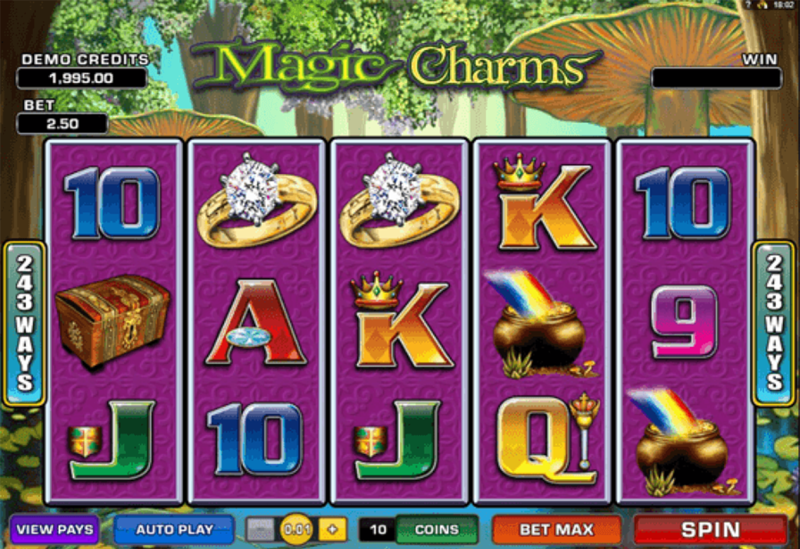 Magic Charms online casino slot is armored with 5 reels and 243 paylines, or ways to win. 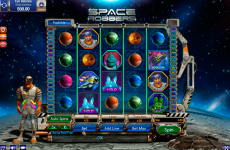 On one line you can bet up to 10 coins, so it’s around 2430 is the biggest possible number of your bet. Wild symbol drops on the third reel and it can replace the regular symbols and double all the points up. 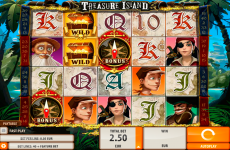 There is also bonus mode, which is called The Frog and The Princess is capable of winning 3 bonus spins and multiply your points 4 times. 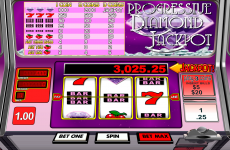 During the spins you can win more then 3 thousand points, while the basic jackpot is from 1200 to 2400. 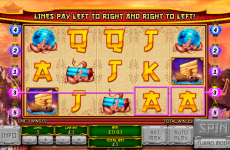 Video slots at Slots Pill are extremely glad to present you this game! Come here to play for fun!